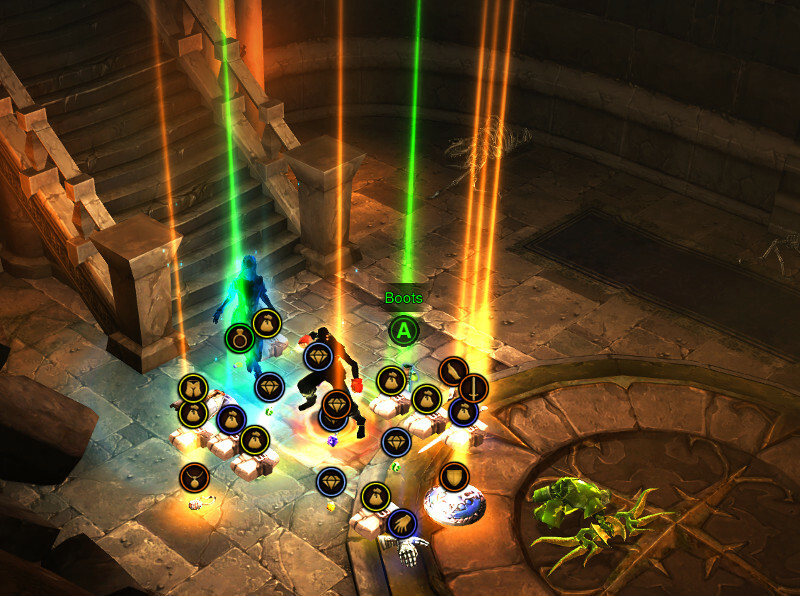 Used to be, when you looted a chest and found a magic weapon, you had to take it back to town to identify it. You can’t see me, but I’m pulling my pants up to my armpits and waving my cane around as I type that. But it’s true, and I remember often feeling a great sense of anticipation as I carried something around with me for a few minutes or even hours before I could find out what it was and use it. It’s something I think has largely been lost in modern games, where everything is identified either immediately or with a couple of clicks. I think something may have gotten lost. To understand why, let’s talk about sucking face with famous people. Image credit: SquakyFoo. You know who you are. And by that, I mean let’s talk about a study by the economist George Loewenstein.1 In that study Loewenstein was interested in how anticipation affected how much people valued something they would get in the future. Among other things, he asked subjects how much they would pay to “obtain a kiss from a movie star of your choice.” 2 Conditions were varied so that subjects anticipated getting the smooch immediately, or after a wait of either one day, two days, a year, or ten years. You might think that people were willing to pay the most to get the kiss immediately. Or maybe give me a day to brush my teeth and put on a clean shirt. Why wait longer? But it turned out that subjects were willing to pay the most for a kiss that was going to be three whole days in coming. Anticipation of pleasure, it turns out, has value. Figure showing how much people would pay to get/avoid a reward/punishment after different delays. Taken from Lowenstein (1987). This is why I wonder if the lost art of identifying loot in video games is causing us to miss out on some pleasure from anticipation. Would we get more net pleasure out of waiting to see what we got and a chance to use it? Or what about level caps on equipment? Those have always felt annoying to me, but maybe I’m not being optimistic enough and maybe I’m looking at it wrong. Maybe that awesome sword of the spiffy shield that I won’t be able to use until I’m level 18 have some value when I’m level 16. Loewenstein notes that you can make this anticipation effect stronger by helping people vividly imagine what’s coming. Games that let you preview what cosmetic items will look like or how new equipment will behave could accomplish this. You wouldn’t have to imagine it. You could see it right there. It also makes me think of the progress bars for developing new technologies in Metal Gear Solid V. In that game, you can start research projects that are completed in real time –not in game time. You literally have to wait a certain number of hours for a progress bar to fill up before a new shotgun or rocket launcher is available. Does waiting for that stuff increase the amount of pleasure we get from it? I may think that I’d rather have it right away, but as a human brain piloting a sack of meat and bones, I’m a notoriously bad judge of such things. 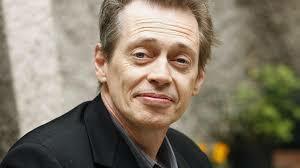 Steve Buscemi is a famous celebrity. I’m just sayin’. Given the study above, I have to think …maybe I’d be happier if I waited. 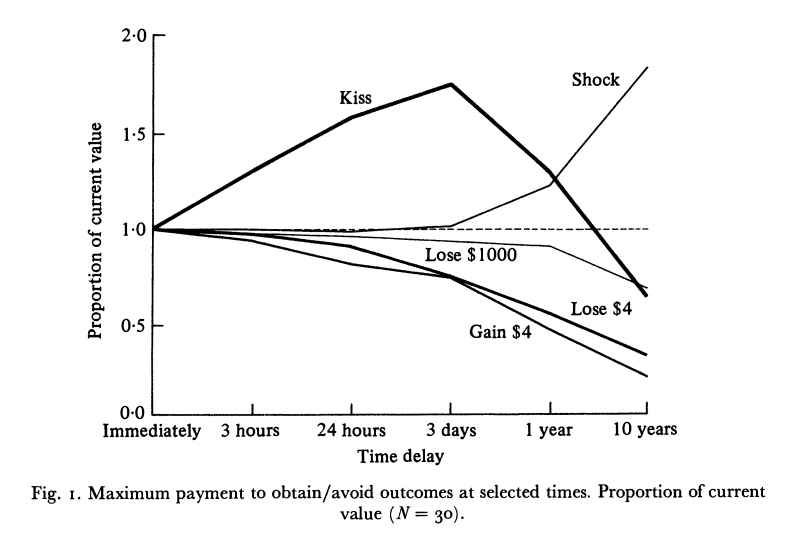 In Loewenstein’s study, the kiss and other anticipations he experimented with (a painful shock, receiving or losing money) were experiences that came and went pretty quickly. You don’t keep a kiss after you get it. It’s an experience, not a possession. Loewenstein remarks that “delaying is more likely when consumption is fleeting.”3 So maybe, in the case of video games, the value of anticipation would be greatest when the prize is also fleeting, like taking place in a tournament, playing against or alongside a celebrity YouTube or Twitch streamer, receiving consumable boosters, or playing in a closed beta test. Some fun things to experiment with, though, if you’re a game designer. Or maybe just anticipate experimenting with them. That would be fun, too. 1. Loewenstein, G. (1987). Anticipation and the valuation of delayed consumption. The Economic Journal, 97(387), 666–684. 2. Hey, 1987 was a comparatively chaste time. No doubt the survey would be more lewd today. The kiss would be a sure thing, whereas the chance of an unidentified item being actually valuable is slim. Getting a good item with a level cap which is too high does give the player something to look forward to, but quite often I’ve ended up getting better loot until I reach that level requirement. Had a similar thought to the one Ivan suggests. Deferred gratification when I know what I’m getting does sound appealing to me, waiting to open a chest only to find it contains something I don’t want or need sounds horrible though. Perhaps having that delay requires the removal of randomness, and as randomness is a useful tool for designers trying to spread their limited content out over time, it may be that that is why we now tend to inform the player immediately.